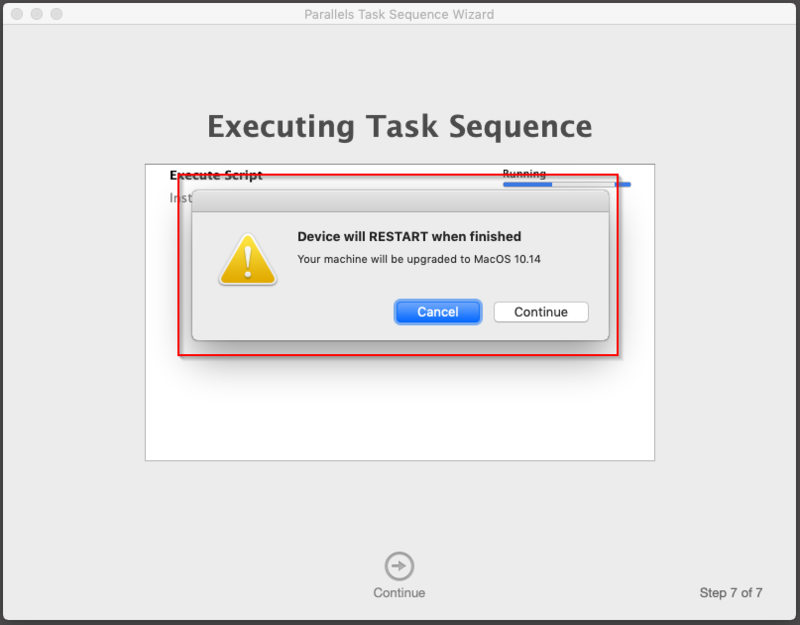 I need to create a dialog window in Task Sequence that will make user to choose if he'd like to continue its execution. Please find a sample Python script here. Edit it accordingly to your needs and add as a step to the Task Sequence.